As we highlighted yesterday, there are a number of worthy causes to support in Courier Country. But that was only a few of many. Here are some more charities and organisations who need your help this Christmas, telling you in their own words how you can get involved. 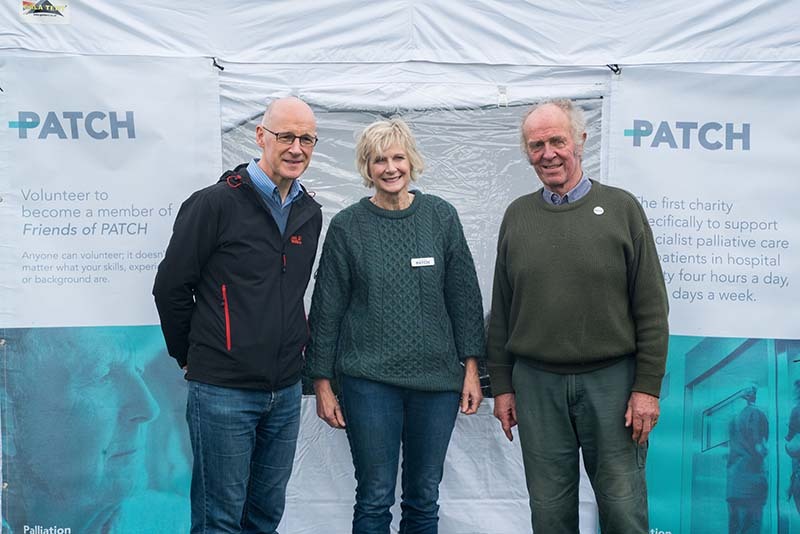 PATCH (Palliation and the Caring Hospital) is the first charity dedicated to providing the stimulus, funding and experience to establish hospital specialist palliative care services and units in Scotland. The reality is that more than half of us will die in a hospital. Our vision is that patients in hospital who require specialist and skilled palliative care will receive it when they need it, and that it is available 24 hours a day, 7 days a week. PATCH was inspired by the model of care developed in the Acute Palliative Care Unit in Ninewells Hospital, Dundee, established in 2009. PATCH focuses on three key areas – palliative care education for nursing and other clinical staff; supporting innovation in care; and funding palliative care research. Projects have been delivered right across Scotland and applications are encouraged from any hospital – big or small. Currently PATCH is funding a communications course for final year Dundee medical students, in collaboration with the University of Dundee. The aim is to increase final year medical students’ confidence in speaking with and listening to patients who are very ill, and may be dying, and to their family members. For more information about PATCH and how to support them, visit their website. Mindspace is a Perth-based mental health charity providing one-to-one peer support and adult and young people’s Counselling services. We also have two recovery colleges, which teach adults and young people about their mental health. Mental health is frequently in the news and people are beginning to understand how serious an issue this is for individuals, families and communities. Perth and Kinross has a higher than average number of psychiatric hospital admissions when compared to the rest of Scotland, so it is essential that small community based organisations like Mindspace exist. Our services are provided free of charge helping to address inequalities for those who cannot afford to pay for this vital support. Mindspace provides this valuable service thanks to donations and grants. At this time of year we experience an even greater demand on our service – whilst for most of us Christmas is a time of happiness, when you are experiencing poor mental health it can be unbearable! 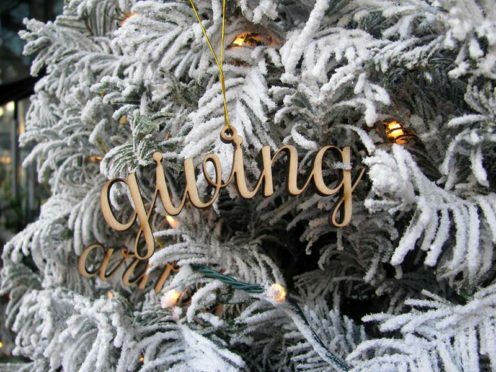 Please help us help our local community by making a small Christmas donation to Mindspace – every penny can help transform a life this Christmas time and quite possibly save a few too! Merry Christmas and thank you from everyone at Mindspace. Find out more at the Mindspace website. Perth & District YMCA works to establish positive, trustful relationships with disengaged and vulnerable young people. Through this work, local young people, who can often be challenging in their behaviour and chaotic in their lifestyle, are supported through a primary focus on establishing positive relationships. 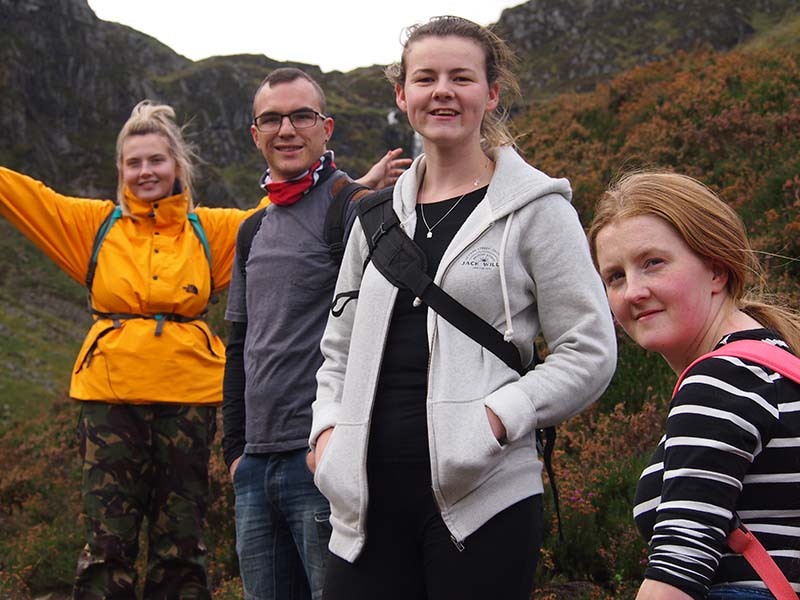 All projects at Perth & District YMCA are designed around relationship-building and aim to cater for young people’s social, emotional, spiritual, educational and employability needs. August 2019 will mark 175 years since the conception of YMCA, now a worldwide movement. YMCA has over 58 million members in 119 countries worldwide. In every corner of the world, YMCA is helping young people to build a future. To celebrate, Perth & District YMCA are looking to gain 175 sponsors of £10 per month to support the work that they do. Such donations offer unrestricted funds for continued empowerment of local young people. Perth & District YMCA offers needs-led services, often meaning that young people do not consistently fit into funded projects throughout their journey over an extended period of time. Because of this, donations are vital to the life and impact of the organisation and every £10 makes a significant impact. To sign up, go to the donation page. PADS is Perthshire’s own animal charity, which rescues and re homes unwanted dogs. At our kennels we provide them with veterinary care, comfort and safety and find good homes to give them love and care for the rest of their lives. In the 28 years since the Perthshire Abandoned Dogs Society kennels at Forteviot were opened we have helped almost 8,000 dogs find a new life. None of this could have been achieved without the help of Perthshire folk whose kindness and generosity has been overwhelming. We raise money ourselves from our annual coffee morning and our dog show held every August, but we are delighted when dog-lovers in the county think up ways of raising funds for us! Also, like all animal charities we rely very much on legacies and hope that people might remember us in their wills. 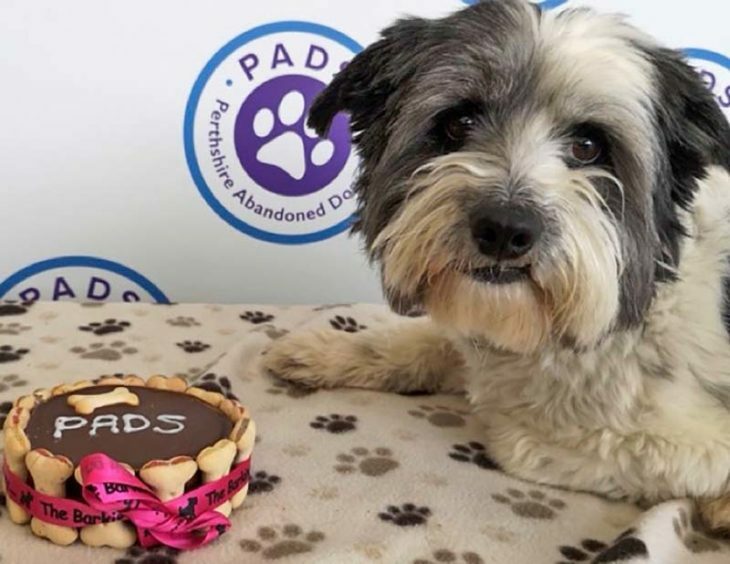 There will always be dogs which are cruelly abused, terribly neglected and left completely alone in the world and so there will always be a need for charities like PADS. The kennels are open to the public on weekdays from 1pm-3pm and at weekends from 1pm-3.30pm. You can email us at padskennels@btinternet.com and our phone number is 01764 684491. To find out more about adopting a PADS dog, fundraising or volunteering, visit the PADS website. Positive Steps is a Christian charity, which has been working in Dundee since 1987 directly helping over 12,000 people in this time. The help provided is varied and although some see Positive Steps as a homeless charity, the organisation reaches far beyond this. Housing need links the vast majority of the individuals and families helped but the root cause of their challenges can be a varied including; learning difficulties, mental health, physical disabilities, substance misuse, and trauma for example. Frequently those needing the most help are facing very complex situations, which would make anyone struggle. In addition, many of the people supported by Positive Steps have to also contend with poverty and the impact of poverty. This is not just about money it is also about loneliness and isolation, low self-esteem, poor physical and mental health and poverty of opportunity. The impact can live with a person for the rest of their lives, particularly in the case of children. You can make the organisation’s forthcoming 30th year really count. Help the charity reach more vulnerable people and families by donating to Positive Steps and together make a difference in our communities. 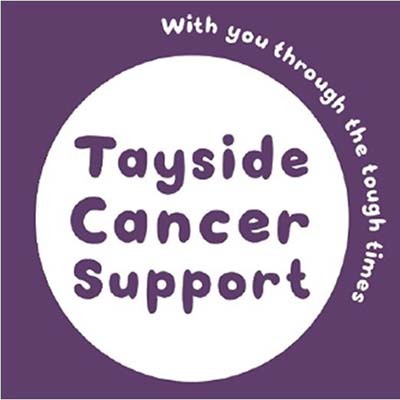 Tayside Cancer Support is a local, voluntary organisation of nearly 25 years with around 30 volunteers. We offer support, information and a one-to-one confidential befriending service to people affected by cancer, whether patient, relative or friend. This support, which can be by telephone or in person is given by befrienders who have received relevant professional training. We offer Mindfulness courses to help people cope with the challenges of a cancer diagnosis and hope to open a ‘drop in’ facility in our new space at St Aidan’s Centre, Broughty Ferry next year. We have received a small grant for a number of years from the Northwood Charitable Trust and all other funds are raised from personal donations and events we organise such as our annual golf event, coffee mornings, bingo evenings. Sometimes people, celebrating an anniversary or special birthday decide ask family and friends to donate money for our charity rather than give gifts. We are proud of the support we offer people going through difficult times. Excellent feedback from clients motivates us to continue to provide this support. We are currently recruiting volunteers. Interested in being a member of our Board, or a volunteer befriender? Please get in touch by calling 01382 477500. Get more information at the Tayside Cancer Support website. Christmas, above all, should be peaceful and reflective. 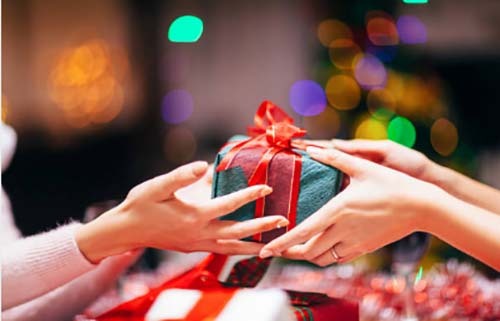 It is hard to comprehend that for women and children living with any form of domestic abuse that already unprecedented levels of anxiety are heightened, Christmas offers no sanctions. Living through domestic abuse, peacefulness is a quality that does not exist within the day-to-day lives. Alarmingly domestic incidents increase over this period. Dundee Women’s Aid offers a safe harbour for women and children who are subjected to all levels of abuse. Often the only lifeline available to them giving (offering?) safety, support, temporary refuge, and providing confidential advice tailored to the needs of the individual or family. Our website offers an in-depth overview of our services, whether you are in need of advice or support as you have a concern, or if you are looking to support the charity by a donation, or alternative means, then please get in touch. Domestic Abuse does not pause for Christmas. Find out how you can help Dundee Women’s Aid at their website. Montrose Community Trust, formerly known as Links Park Community Trust, uses the power and widespread appeal of sport, but in particular football, to inspire change. 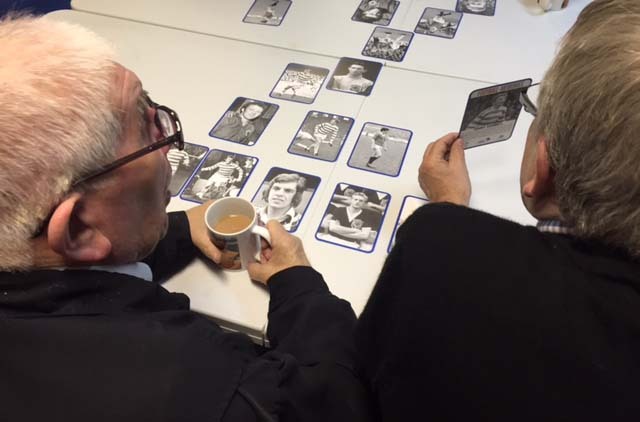 Through a range of innovative, community-benefitting programmes, the charity engages with well over 1000 participants each and every week, from the age of 1 to adults in their 90s. Within their Community Sport strand, MCT provides recreational and developmental football opportunities for all ages, abilities and aspirations. Their pre-school ‘Links Park Mini Dribblers’ programme provides a fun introduction to football, whilst their Walking Football initiative allows men and women to regain their love of the beautiful game, albeit a slowed down version. Montrose Community Trust has received local, national and international acclaim for their award-winning Education and Employability programmes. Using football as the context, MCT delivers a range of innovative projects, which raise attainment and achievement amongst local school pupils in the areas of health, numeracy, literacy and science. Their employability programmes have supported over 30 young adults into work in the last three years. Within their Health & Wellbeing department, they have developed and now deliver an extensive range of programmes that address local identified needs. Such initiatives support those living with dementia, older adults living in isolation, people with mental health issues, and those recovering from harmful addictions, to name just a few areas of work. MCT, formerly Links Park Community Trust, was named ‘Social Impact Business of the Year’ at the Dundee Courier Business Awards in 2016. For more information on the work of the trust, visit their website.